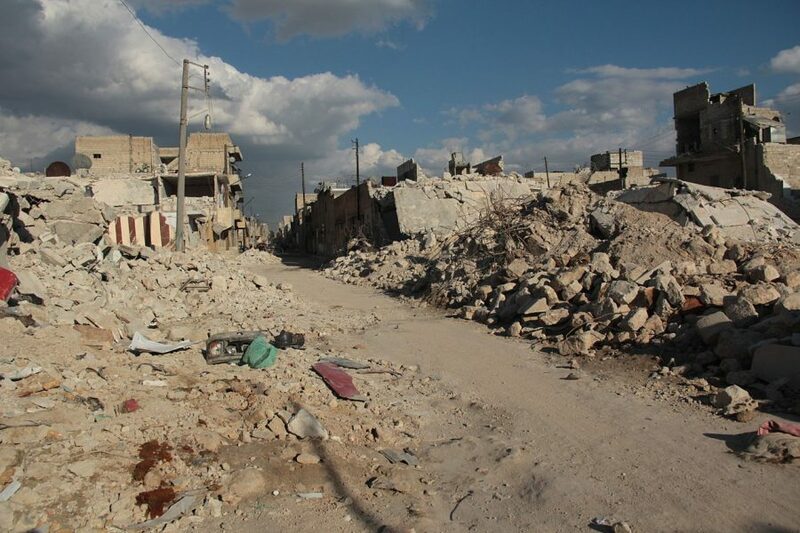 Destroyed area in Aleppo in 2013. 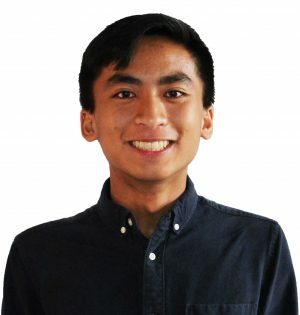 Columnist Tyler Panlilio believes that growing up in a war zone has a negative impact on children who live there. The chemical sarin is about 28 times more deadly than mustard gas. By breathing in or coming in physical contact with this chemical, airways begin to narrow and breathing becomes difficult. Not much later, muscular spasms occur on top of defecation, nausea and an eventual comatose state. Now picture a 6-year-old, being treated in a hospital for previous injuries, breathing in the chemical. Because even unintentionally bombing a hospital isn’t a war crime. Since its inception in 2011, the Syrian civil war transformed what was once a stunning, peaceful country into a wasteland of the dead and broken. Last Tuesday added more chaos to the already dismantled state of the country. More than 70 civilians were killed after chemical attacks bombarded the northwestern Syrian rebel town of Khan Shaykhun. And among the dead, over 20 were innocent children. In its already destroyed state, Syrian civilians continue to experience one life-shattering event after another. This is by no means new for them. However, the loss of life is common when their country has transformed into a war zone. These children are so traumatized that witnessing suicide bombings, hearing cries of terror and smelling the overwhelming stench of dead bodies may be a normal day for them. And in a lot of ways, they’ve given up. Many of these children already suffered physical injuries over the last few years. It could be as small as a minor cut from shrapnel, to as severe as needing an amputation from the aftermath of an airstrike. But these injuries matter, nonetheless. And then you think it stops, but it doesn’t—the suffering in many parts of Syria seems to pile on top of itself. People sometimes forget the mental ramifications of war. Perhaps the most traumatic experiences stem from these kids losing loved ones. Seeing a friend or family member being blown up by a bomb is something these children should never witness, but it happens regardless. And following the initial shock of it, being deprived of basic human rights for months on end—whether it be proper education or food and water—is disturbingly common. It’s not rare to for a child in Syria to be the only survivor of a family, having suffered a variety of physical injuries, to develop symptoms that mirror those of PTSD. These memories leave a mind damaged, and can last for a lifetime. The possibility of developing mental health disorders is at an all-time high for these children, and often professional psychiatrists are literally one-in-a-million in some provinces of Syria. But these damaged children are not exempt from being used as wives or soldiers. Orphaned girls are often pressured into early marriages and boys who haven’t even reached puberty are, in extreme cases, recruited to fight. Whether these kids are pressured or not, the lingering effects of war result in poor lifestyle decisions. Although Assad and his armed forces deny any involvement with this, all fingers are pointing toward them. There is no excuse to justify that using chemical weapons and targeting a hospital are not war crimes. President Donald Trump’s decision to launch more than 50 missiles directed at Assad’s aircrafts and supply bunkers early Thursday morning, however, is justified. With Canadian Prime Minister Justin Trudeau fully supporting Trump’s decision a day later, it’s clear that there is a greater evil that must be stopped. So for those kids who survived last week’s inhumane chemical attack, many of them will continue their lives with immense physical and mental trauma. There’s no fight here, because all that they had to fight for in the first place is now gone. If sticks and stones break our bones but words will never hurt us, explosions will obliterate them and PTSD will leave us in shambles. Tyler is a freshman in media.